Given some of the trials and tribulations Roland Morgan has been through in the past three years, the prospect of a developer demolishing the building his Capitol Hill business calls home might pale in comparison. But when the demolition equipment does come for 10th and Union’s Pravda building — or the adaptive re-use equipment if the community push to “maximize preservation” is successful — Morgan and his ventures will still be there after surviving a challenging financial squeeze that found a small Pike/Pine video production company ground to pieces between tech giants Microsoft and Apple. “Rumors are circulating about Pravda Studios, LLC and we want to give you some facts,” Morgan wrote in a statement sent to CHS. Here are some of those facts. 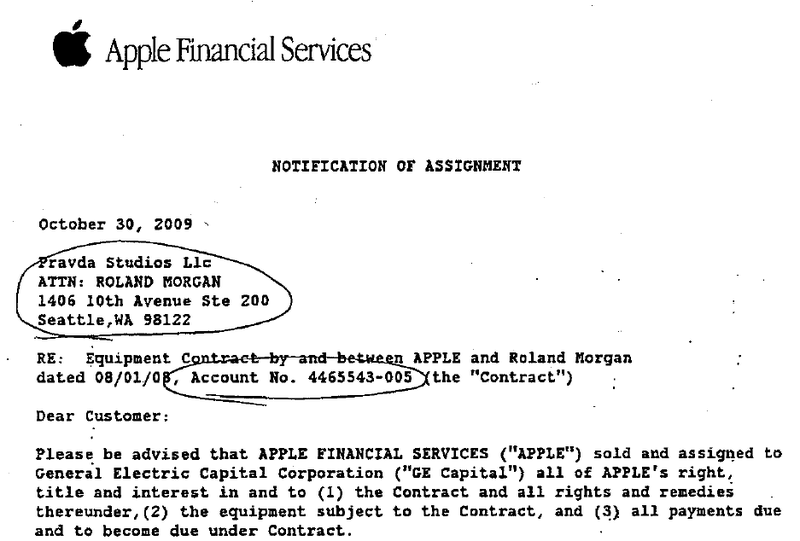 According to court records, Morgan’s Pravda Studios went bankrupt as it wrestled with nearly $113,000 in debt from high-end video and computer equipment and software it leased from Apple Financial Services in 2009. Court documents record some of the ugly details of this kind of thing including permission for the sheriff to forcibly enter the premise and remove the leased equipment. Chapter 7 bankruptcy put an end to that. Office Max, by the way, also lined up for nearly $6,000 it said it was owed after three years of transactions with the company. Pravda Studios, LLC was formed as a Video Production company in 2001. Microsoft made up about 90% of their business shooting videos for their products. Then the economy hit and Microsoft decided to cut its 620 video vendors down to 18. Unfortunately Pravda Studios, LLC was one of them. As a result Pravda Studios, LLC had to declare bankruptcy on December 5th 2011. Pravda Studios, LLC was the video portion of their business. The event portion was only 10% of their business serving primarily as a studio rental to DIY’s (do it yourselfers) brides and event planners. To be clear, this has no impact on my company “Pravda Creative, LLC” and it’s day-to-day management of our event design and production business. All 2012 Pravda Creative, LLC and any future event thereafter will still happen. We are a totally different company, open for business and will continue to remain open as we have since Pravda Creative, LLC began in 2011. Our customers and partners remain our priority and our relationships matter. We have also signed a new lease with our landlord which is very exciting, Pravda Creative will be in the 1406 10th Avenue building (as your neighbor) until they knock our building down. We confirmed Morgan’s lease with Brian Jacobsen, owner of the 10th and Union land and head of Madison Park Greetings, headquartered in the building currently planned to be preserved as part of the new development. 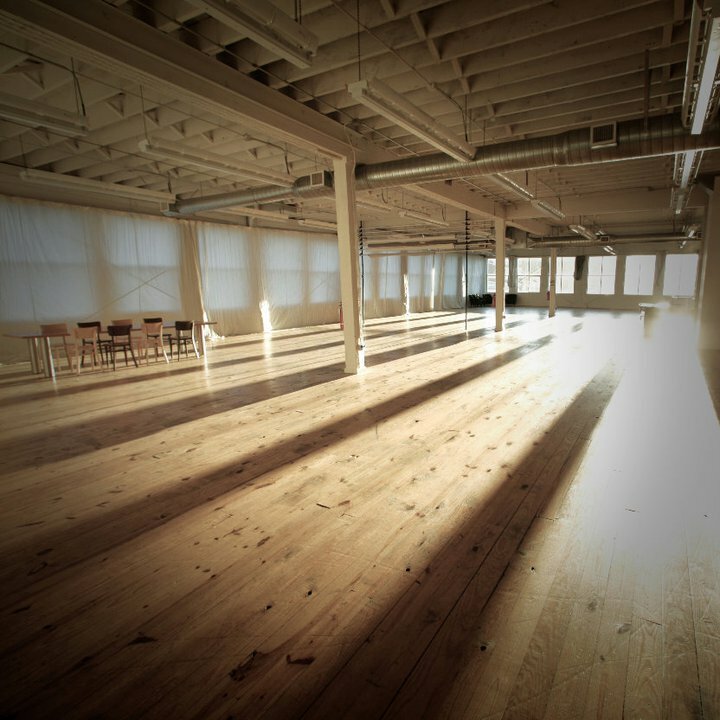 In the meantime, the Capitol Hill event space has also become more competitive with Melrose Market Studios joining the neighborhood last fall. …thanks to our new model and customer base, our event design company has had a great opening start in 2011. And as for 2012, our outlook is super! We are heading into 2012 stronger than 2011 and have already booked more Event Design and Production going into this New Year than last year. We have also partnered with other Venues in the city and are designing and producing events all around Seattle. The new Pravda has eight full-time employees and nine part-timers working to produce events, Morgan said. How the questions around preserving the building ends up resolved is anybody’s guess but, with Pravda still around, the party celebrating 1406 10th Ave’s passing or its preservation should be a great event. Hmmmm? Did’t he also go bankrupt back in 1998 1999 also? The man is a black whole for any business.